Tickets are not issued. Guest names will be on a list at the check-in. If someone paid for your ticket, please check in under that name. Shop locally for the holidays. Ride a trolley to Uptown shops, be jolly, and save. The ninth annual shopping spree will be held on Saturday, November 17 between 9a. and 4p. Gifts, holiday decorations, and other special treasures will be there for the picking. 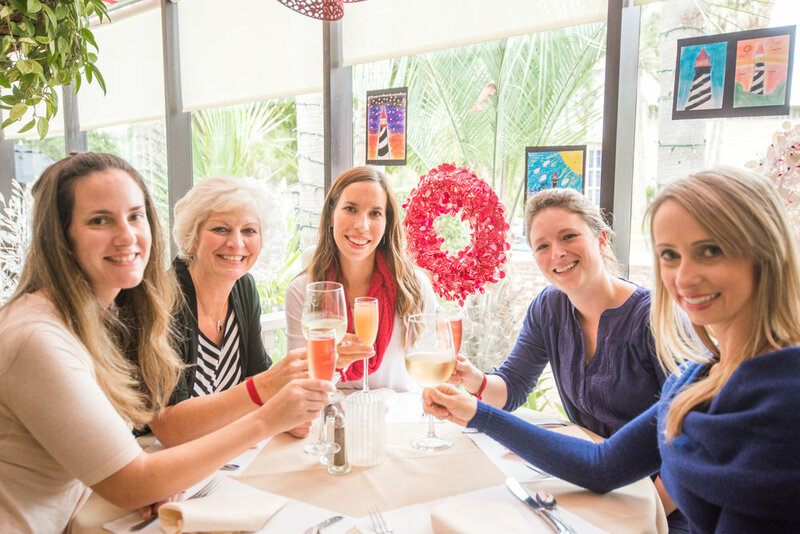 It is also an opportunity to support local Uptown businesses who generously support our community. Do not miss Carrera's Sparkling Soirée to kick off the spree. The Spice and Tea Exchange will be offering cocktails and mocktails. The soirée will be held at 167 San Marco Avenue from 9 to 10a. 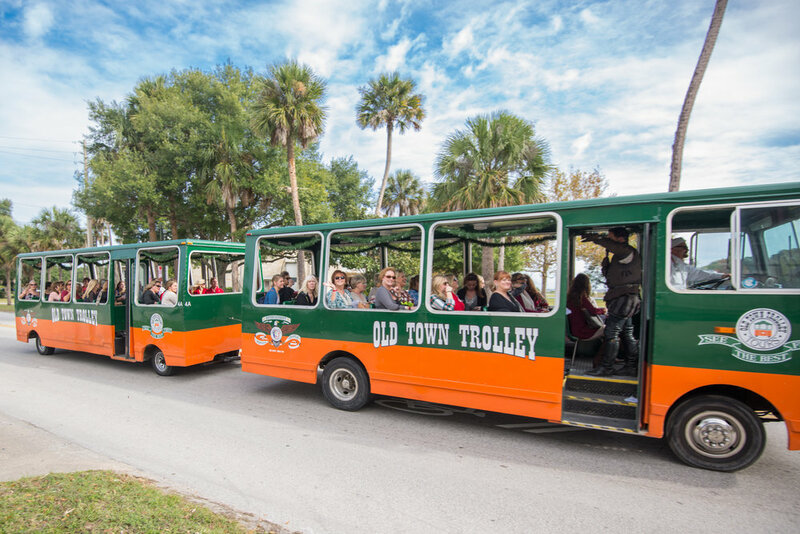 After mingling and sipping, catch a sightseeing trolley (Old Town Trolley Tours) for a journey designed specially for you—a whirlwind shop-a-thon that meanders along San Marco Avenue, with silent auction items and photobooth along the way. Oh, and there is a scheduled layover at Raintree Restaurant, where you will be served a tasty lunch and have a chance to win raffle prizes. A great day of fun and camaraderie awaits. Invite your friends, relatives and other savvy shoppers you know. The ticket price is only $45. The cost includes a trolley ride, lunch, special discounts and offers from Uptown retailers, and donation to the selected beneficiary. Shoppers will vote on the beneficiary during brunch. The selected beneficiary will be announced at 4p on the day of the spree at Carrera Wine Gallery. 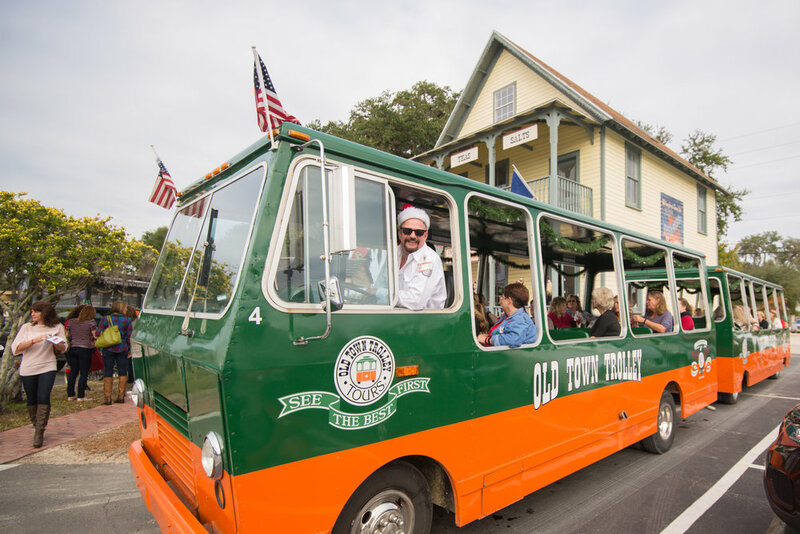 Participants park and meet between 9 and 10 at Old Town Trolley Tours, 167 San Marco Avenue, St. Augustine, Florida. We are limited to 300 guests, so make your reservation early. No tickets are issued; names will be on a guest list at check-in by The Old Jail.